The cheapest(!) and most obvious route is to add a digital back to my existing Hasselblad 503CW and Zeiss lenses with the bonus of being able to use the back on other systems such as large format. That will give me the image quality and file sizes I need through a camera system I have complete faith in and, frankly, one which I would find very difficult if not impossible to part with. Since I came to this conclusion, I've had a resurgence of interest in using silver halide black and white film and have rediscovered the fun of film-based photography for it's own sake once again. I have to confess that wild horses would not drag me back into a darkroom. I endured the heat, smell, chemical contamination and claustrophobic environment for too many years, so the scanner will continue to earn it's keep! 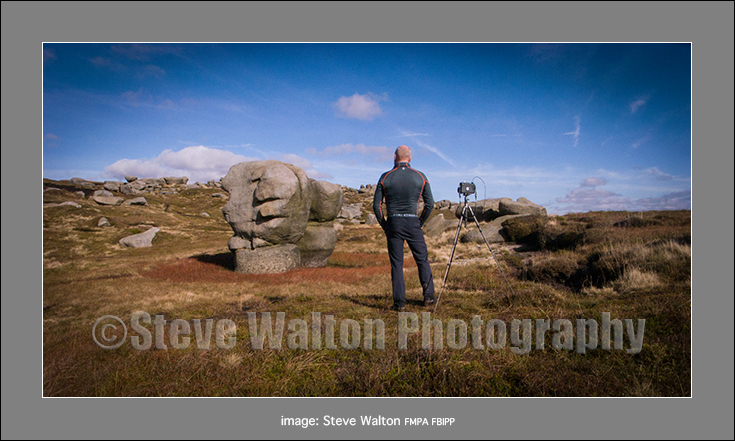 Yesterday was a day for indulging myself in the Peak District with a Fuji GSW690111 camera and few rolls of FP4+. I know it's the right decision for me. All interesting and informative stuff from a pro. Too many want to be pro photographers on twitter and the like running on about camera kit for the outdoors. Your kit choice shows the reasoning of someone who is making it as a professional right now. Good luck with the new kit. Thanks, Martin. I've gone a step further since I wrote this and bought a Cambo Wide with a Super Angulon 47XL. I'm really quite excited about this camera! Thanks, Tim. I ok for scanning as I have an Imacon. Interesting to read about your Howtek, a wise purchase! Now a good used Tango would be very tempting!